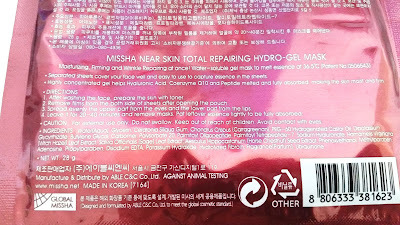 I have been trying out a lot of hydro gel masks lately and this Missha Near Skin Total Repairing Hydro-Gel mask was one of the ones I tried. Although I've tried other Missha products in the past, this is actually the first Missha mask I've tried, so I hoped for the best. 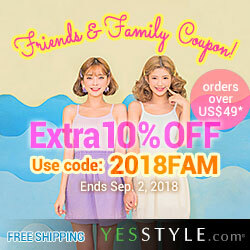 Missha is a Korean brand with an online US shop. It carries almost all of Missha Korea's product, with the exception of their newest products such as the Line Friends collection. They could add it to their US shop in the future, but I'm not so sure about that. 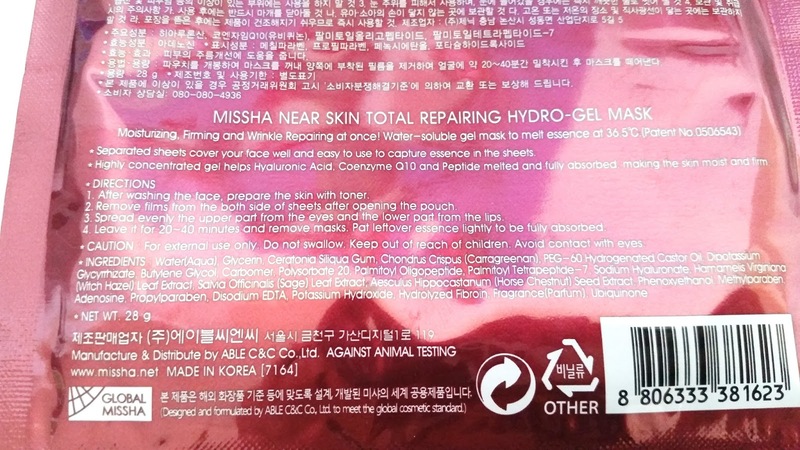 My first Missha product was actually their BB cream. It was pretty decent but not my favorite. Missha's well known skincare products, such as their First Treatment Essence and their Time Revolution Night Repair serum, are often considered fairly inexpensive dupes of other high-end brands like SK-II or Estee Lauder. The inexpensive dupeness was what drew me toward their skincare products in the first place but their nice skincare effects was what kept me going back for more. I purchased this mask a while ago and decided to test it out last week. This mask promises to moisturize, firm, and provide anti-aging care. Let's see if it really fulfills these skincare benefits. Product Description: A hydro-gel mask that works to moisturize, firm, and repair wrinkles. 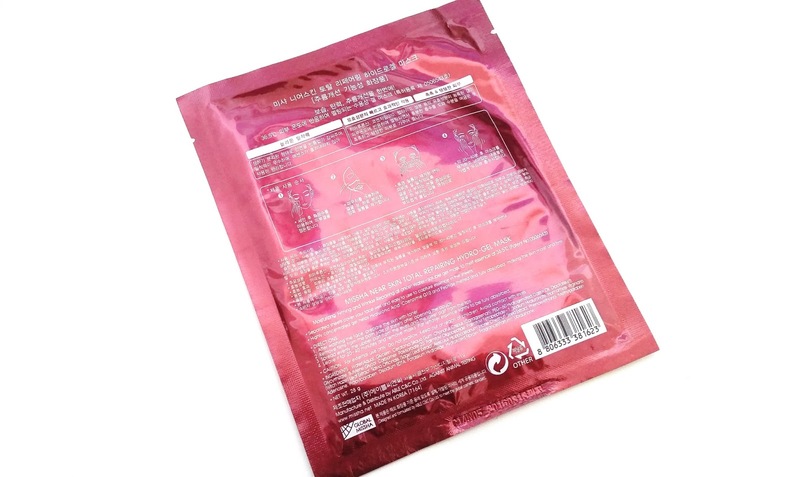 Its water-soluble gel mask essence will melt at 36.5 degrees Celsius, so the essence can absorb into the skin nicely. The mask is designed for comfortable wear. To Use: After washing the face, prepare it with toner. Take the mask out of its pouch and remove its protective films. Apply the mask onto the face and leave it on for 20 - 40 minutes. Remove after and pat in any remaining essence. Ingredients: Water, glycerin, ceratonia siliqua gum, chondrus crispus (carragreenan) PEG-60 hydrogenated caster oil, dipotassium glycyrrhizate, butylene glycol, carbomer, polysorbate 20, palmitoyl oligopeptide, palmitoyl tetrapeptide-7, sodium hyaluronate, hamamelis virginiana (witch hazel) leaf extract, salvia officinalis (sage) leaf extract, aesculuc hippocastanum (horse chestnut) seed extract, phenoxyethanol, methylparaben, adenosine, propylparben, disodium EDTA, potassium hydroxide, hydrolyzed fibroin, fragrance, ubiquinone. Packaging: Wine red is the main color of this mask's packaging and it looks nice. The front of the mask looks simple while the back side of it is packed full with information. I was happy to find English directions, ingredients, and information on the back. Like most masks, it also comes with a diagram that shows you how to apply the mask. Inside, the 2 piece mask is protected by plastic films. 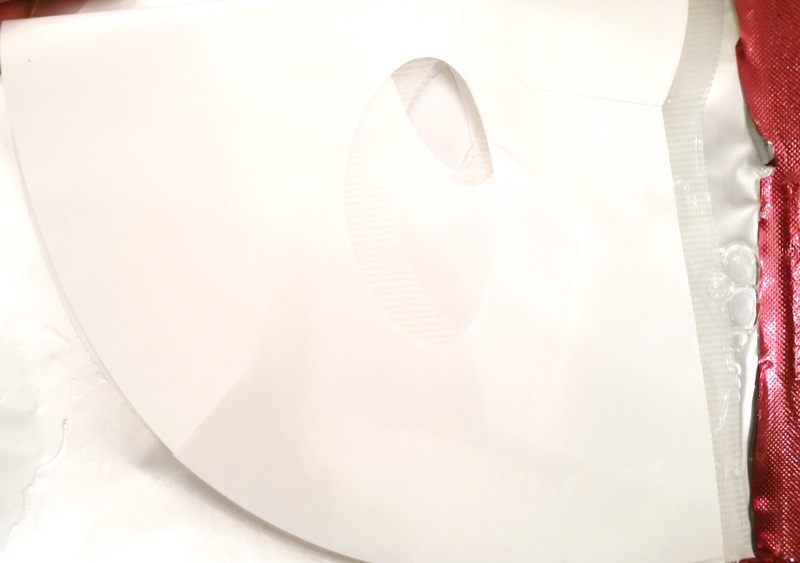 Each piece of the mask has 2 protective films, one of which is white in color while the other is clear. 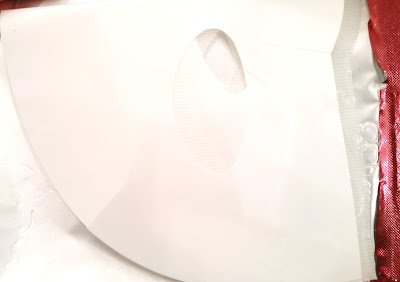 For me, the easiest way to apply the mask is to remove one protective film, apply the mask side onto the face then remove the other protective film. Scent: This mask has a herbal scent. Not super strong but more than mild. I could also pick up the scent of sage in the mix. Color: The essence is clear and so is the hydro-gel part of the mask. Only the mesh which is used to keep the hydro gel in shape is white. Texture: When I saw the mesh in the mask I feared that the mask would be stiff. Luckily, it wasn't. Despite the mesh, the mask adhered to the face nicely and didn't feel stiff at all. The hydro-gel is not too thin but not too thick either. It feels similar to most hydro-gel masks. My Thoughts: As with any new product, the first thing I do is patch test. Since I have sensitive skin, patch tests help me to eliminate potentially irritating products. Patch testes works 95% of the times and there are rare times that it might miss something, like it was the case with this mask. I started testing the essence a day before using the actually mask and I used a clip to keep the mask/essence from drying out. I started with testing the essence on my wrist, then behind/under my ear, next spot tests on my face and if all goes well, I would use the mask as a full face mask test. The patch tests on my wrist, under my ear, and spot tests on my face went well. No irritations or anything like that. However, when I apply the mask for the full face test, I started to find issues/things I didn't like. First thing I noticed while the mask was sitting on my face was that it tingled. Having used Innisfree's hydro gel masks in the past and experienced their tinglyness without it causing any issues, I thought it would be similar. I still checked my face multiple times though, just to be safe. The tingly feeling was light and it didn't cause any redness or breakouts. Whew. Eventually, the tinglyness lessened and I thought I was in the clear until I took the mask off after 35 minutes. The moments after I took my mask off was interesting to say the least. I was checking my skin in the mirror when my face began to feel itchy. Uh oh. I feared for the worst but I didn't see anything on my face that suggests breakouts or redness or allergic reaction. The itchyness went on for about 2 minutes (like the longest 2 minutes of my life) but then it just stopped. I was cautious for the rest of the evening and even into the next few days but nothing happened. No breakouts, redness, allergic reaction or anything. It's as if the itchyness and tinglyness didn't happen, except it did. I wonder why it didn't cause an issue when I patch tested but it did cause the issues when I did my full face test. I'm saving the ingredient list to compare it with other products in the future. Okay, aside from the issues I encountered, let's talk about the mask's skincare effects. This mask is really moisturizing. After the itchyness was over, I could feel that my face felt moisturizing. It was also a bit plump and firm as promised, which is lovely. While I don't really have wrinkles yet, I do have some fine lines. The anti-aging care the mask provides was nothing spectacular. It did help lighten my fine lines a bit but not by much. I did like the mask's fit. 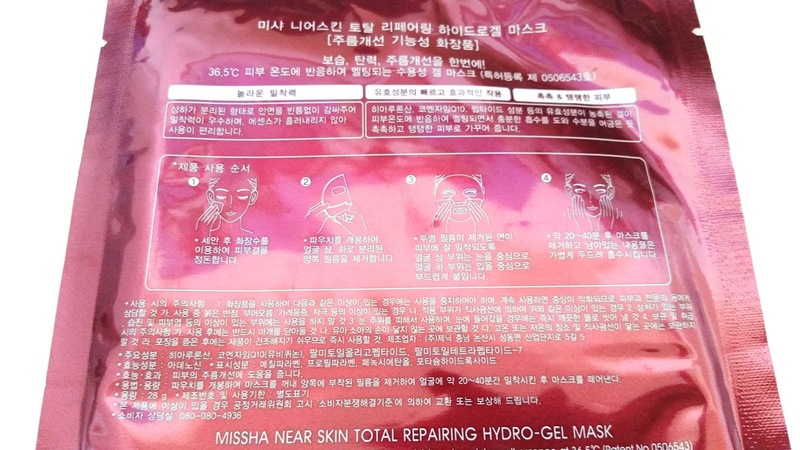 When I saw the mesh, I thought the mask would feel stiff (as experienced from other hydro gel masks with mesh). However, it wasn't, it stayed on my face nicely. I did have to make a cut on the nose part as it was too big but other than that the fit was good. Final Thoughts: I think I would have liked this mask more if it didn't cause the tingly and itchy feelings. Mask time is supposed to be relaxing. Unfortunately, I didn't feel so relaxed while using this mask. 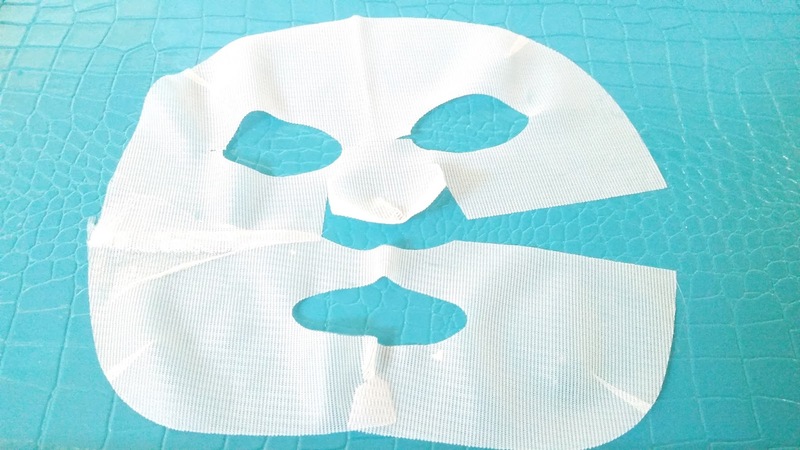 The mask did provide amazing moisturizing effects and left my face feeling hydrated. It also added firmness and plumpness, which is nice. It did lack in its anti-aging properties though. Would I repurchase this in the future? Probably not. Me and my sensitive skin don't need a repeat of the tinglyness and itchyness it caused. I'll still have to try and pin point which ingredient could have caused the issues though. Do I think this is worth a try? Well, maybe. If you don't have sensitive skin, there's a chance that what irritated my skin might not irritate yours. It could feel totally relaxing for you, so it might be worth checking out. If you do have sensitive skin or if you are sensitive to any of the mask's ingredients, then it's probably worth a skip.